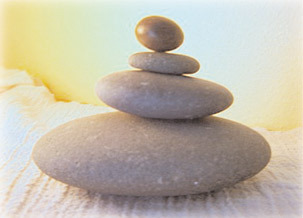 At Balance Therapies, LLC my motto is "Working with you to restore Balance". A definition of Balance is a desirable point between two or more opposing forces. Everything in life can shift us or take its toll on us, but not always at the same time or in an even manner. Each session is individually crafted to restore balance and varies depending on where you are at the moment—your goals for the day, your posture, profession and lifestyle, habits (good and bad), stress (how it affects you and how you deal with it) as well as any other health concerns. I work with you to find the root of the problem which caused the imbalance in the first place. An imbalance anywhere within you can affect the whole of who you are. On a physical level, tight muscles, ligaments, and tendons can create an imbalance in your physical structure, creating a pulling or twisting on your structure and causing joint problems, more tight muscles, headaches and gait problems. These imbalances could be from posture itself, defects, accidents, stress, or poor alignment to name a few. Emotionally, stress takes its own toll. Emotional stress can cause us to be in a prolonged state of fight-or-flight--rarely allowing our autonomic nervous system to have a break. Stress can also cause us to have defense mechanisms in place which limit our ability to be fully present in the world or to respond accordingly when things do come our way. Energetically, energy (chi) needs to flow through us evenly and unimpeded to have health, wellbeing, and ease in life. If there is stress on any level, there is most likely stress and dis-ease in our energy and in the level of chi. Through Energy-Body HealingSM, Chi Kung Healing and Integrative Therapeutic Massage, I can work with you to restore this necessary balance in life.